If Moscow can bring bike-sharing to the masses, certainly Beverly Hills can too, right? After all, Moscow’s crowded streets and scant enforcement make this city no more a candidate for safe cycling than Beverly Hills. But the challenges there are greater: Moscow at nearly one thousand square miles is more than twice the size of City of Los Angeles yet shares our region’s enthusiasm for wide boulevards and road-borne carnage. Yet change has come: the Mayor committed to reduce greenhouse-gases with natural gas transit and an active-recreation agenda. With a bike share hitting city streets, is Moscow the latest great metropolis to signal a bicycle renaissance?Forget brutal winters! Muscovites are a hearty people. Put a few public bikes on the streets and they’ll ride ’em even when the thermometer plumbs into the negative numbers, right? But what we don’t know is whether this newly automobile society will embrace the bicycle when the motorcar beckons. We received a heads up on the new Velo Bike program via a New York Times InTransit blog item that describes a system is developed with a Russian bank (much like New York’s high-profile Citi Bike system). Likewise in Moscow the emphasis in on short point-to-point journeys. “Cyclists can register by the day, week, month or season, starting at 100 rubles (about $3) a day, and are then charged 60 rubles (about $1.85) every hour and the first 30 minutes are free,” the Times reports. Thirty-two docking stations opened this month with 220 bikes available. Reuters pegs the eventual rollout at 100 docking stations with 1000 bicycles throughout central Moscow one day. By way of comparison, New York’s system is much larger (300 stations and 6000 bikes) and the tab considerably higher for the rider: $9.95 per rental day or per-trip charges starting after 45 minutes. You’ll pay $4 for the first 30 minutes thereafter and a steep $13 for the next hour. Annual memberships are priced at $95. What’s interesting is that Moscow is a notoriously expensive city these days, yet transportation remains a relative bargain. A Moscow Metro ticket is only $1 (30 rubles) and a 30-day pass is just $70 (2200 rubles). And cheap transit is a good thing when your city is growing like mad. Moscow has better than doubled its size with a recent expansion. By way of comparison, New York’s MTA charges $2.50 per single ride and $112 for a 30-day Metrocard. LA County Metro charges a bargain $1.50 per ride and $70 for a 30-day pass – Muscovite prices! While bike share in Moscow is a relative transit bargain, safety is no great deal. The city is way behind New York and Los Angeles when it comes to bicycle lanes and other facilities. And riders share the road with fellow Muscovites relatively new to motoring. The general lack of awareness suggests that rider must literally watch their own back when in the saddle. Moscow Bike Share: The Road to Future Sustainability? The Velo Bike program represents a change in direction for Moscow. Much like New York under Bloomberg and Chicago under Daley, cars and motoring ruled the roost for too long. Belated change is coming now by way of the chief executive, Moscow Mayor Sergei Sobyanin. He has pivoted his city toward a more sustainable paradigm in which new mobility options like cycling complement the city’s extensive mass transit. It’s also a status-conscious city these days, and a taste for bike-related fashions and trends may yet blunt the growing popularity of the automobile. 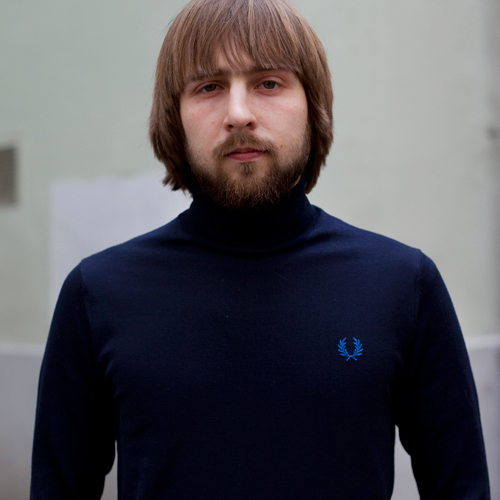 Is there such a thing as a Muscovite hipster? Bicycle sharing and new bicycle lanes are part of the program, he said, which reflects the nation’s environmental initiatives: increased compliance with environmental regulations for car emissions; and alternative fuels buses to make up half the fleet in large urban areas. With 10+ million folks and the Kremlin in town, very likely Moscow will take the lead. With bike-sharing now in New York, Denver, Chicago and Moscow, why not Beverly Hills? Ours is a compact city that provides easy access to numerous surrounding job centers (including Century City just next door). We enjoy great weather year-round. Our well-planned streets make for easy navigation. And low-rise commercial districts are tailor-made for bike-friendly local commerce. Our political leaders support it; bike-sharing is on the regional governance agenda; and it’s happening in cities all around us. Yet to our knowledge, our Traffic & Parking Commission hasn’t discussed it in any detail. Instead they point to the Westside Cities Council of Governments (COG) as the lead agency on a regional bike share program. So instead of doing the work to implement a system, we’ve simply sat back and watched progress unfold elsewhere. You see, the COG appears defunct. And we have no plans in the pipeline. Bringing a bike share program to Beverly Hills is a no-brainer, isn’t it? We’ve just seen our first hotel provide bicycles to guests. Getting more riders on our streets would relieve car congestion and increase our collective visibility. Most important, it would represent a concrete step towards realizing an opportunity to bring our local businesses foot traffic without the auto traffic. (The Beverly Hills Chamber’s empty-rhetoric ‘shop local’ marketing program includes no such concrete proposal.) Bicycle sharing can make visiting local shops more convenient and enjoyable so that we can breathe new life into our struggling commercial districts. Why not implement bike-sharing here too? Bikeway to the Sea: A Promising Regional Route! The newly-formed West Hollywood Bicycle Coalition has something to crow about: City of West Hollywood has adopted that city’s Bicycle Task Force recommendations! That puts this relatively small and diverse burg well on its way to challenging Santa Monica and Long Beach for small-city active-transportation supremacy.